What Are Your Least Favorite Analogies for the Book Business? Were buggy whips ever a $120bn a year global industry? I think not. Publishing is changing so fast that we’re always looking for analogies, metaphors and similes to try and make sense of it. Some, I think, are apt and helpful, like today’s feature story that compares the new agile publishing workflows to improvised jazz. Others just make me grate my teeth. 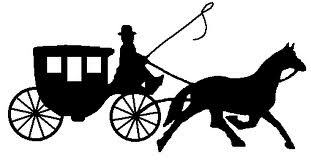 If I ever hear the print book business compared to the buggy whip business at the dawn of the automobile, I’m going to scream. Were buggy whips ever a $120 billion a year global industry? I think not. We can certainly do better than that. So tell us, what are your least favorite analogies for the book business?